After years working with his vigneron father Georges, a 21-year-old Kewin "Ké Ké" Descombes released his first vintage, 2013, of Morgon, from 3 hectares of vines gifted to him by Georges. Kewin now works 6 hectares and bottles a Morgon, an old-vines Morgon and a Beaujolais AOC wine called "Cuvée Kéké". 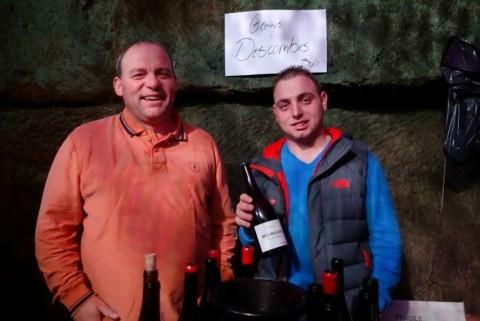 He has adpoted many of his father's ways in both vineyard and cellar: farming is certified organic and only native yeasts and minimal sulfur are used in the winemaking. Fermentation is semi-carbonic and aging takes place in barrel, including some new; he ages his Vieilles Vignes for a shorter time than does Georges.